Vista Land and Lifescapes, Inc., the country’s premiere homebuilder of great property that every family and individuals will enjoy, officially inaugurated Vista City’s newest main thoroughfare that links Daang Hari Road to the community to major cities in greater Manila, a 14-hectare mixed-use development that is master planned to have Vista Hub, dedicated for business and commerce; hospital; and mid-rise residential complex and a lot more, last Sunday, November 22. Headed by our beloved former Senator himself the Man and Brains behind the multi-billion success project, former senator Manny Villar. This access road will also lead to the 300-hectare master planned communities of Crown Asia’s Ponticelli and Camella Cerritos. 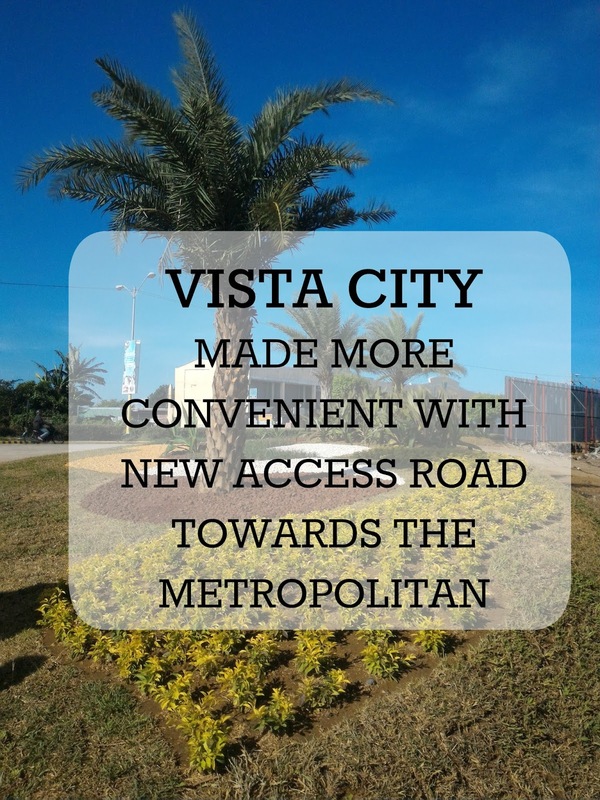 Being the shortest route to Vista City’s progressive developments, this new road provides utmost accessibility and convenience to the residents, as well as, potential homebuyers and investors. Also, part of this inauguration is an open concert that took place at the newly-opened link road at 6 PM. OPM Bands and solo artists that were invited to perform were: 1:43, JBK, Boy’s! Boys! Boys!, Neo Domingo, Fifth Dynamics, and the popular alternative rock bad, Hale. Vista City is a promising 1,500-hectare community located at the boundaries of Muntinlupa, Las Piňas, Cavite and Laguna. It’s progressive developments include Evia Lifestyle Center, Vista City’s commercial, retail and entertainment complex; Starmall Prima, another popular commercial destination; All Home, one-stop shop for home essentials; upcoming university town; Palazzo Verde, Russian and Victorian-inspired event place; upcoming hotel that will service both businessmen and families; and the master planned communities of Brittany’s Portofino, Crown Asia’s Ponticelli and Camella Cerritos. It can be easily reached via Daang Hari Road through Muntinlupa-Cavite Expressway (MCX). From Las Piňas, one may also take Alabang-Zapote Road via Marcos Alvarez Road; and from Manila to Coastal Road via Molino Boulevard. Vista Land and Lifescapes Inc. is the Philippines’ largest homebuilder with the widest geographical reach. It has created more than 300,000 homes and maintains a powerful presence in Mega Manila and 35 other key provincial destinations and 90 cities and municipalities. Through the years, it has created and immense selections of affordable, high-quality homes with world-class settings. It has created 23 communities spread across the country each one carrying Vista Land’s expertise in space planning, carefully thought out and sustainable architecture, and an innate knack for selecting the most accessible and attractive locations.